In our last blog we wrote about the best practice for choosing a cover image for your book. This blog is about the importance of title and author name, in relation to cover design..
You might think that you can’t do anything about the title and author name for your book, but they are important aspects of your meta-data (read more on metadata here). The way these are displayed on your cover will indicate to a reader the genre of the book, and provide brand awareness. Authors that have written more than one book and/or a series of books must be business savvy, and brand awareness is a part of that. Consider the Harry Potter series. Every book in that series displays the title in the exact same way. What this does is allow readers to instantly recognise the series, even if they’ve never seen that particular book before. Even if your book is not in a series, you might consider branding your author name. 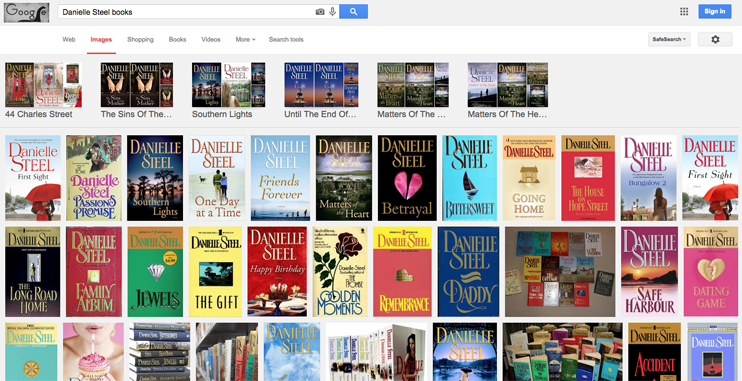 Think about Fiona McIntosh, or Danielle Steel, whose covers for completely different books are connected by the styling of the author name. Fans of these authors will instantly recognise one of their books, which will encourage them to buy. This has been called the velcro effect. Some authors have had their brand developed slowly. 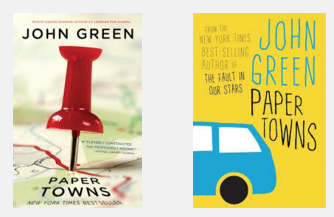 For example, John Green, who has risen to fame in the last few years has covers with similar styled covers. However, on first printing, the covers of his books were all different (see below image, the image on the left is the original cover, and the image on the right is the newer cover, which matches in with the style used in his other books). If you’re not sure what kind of imagery you need for your book, consider taking up a pre-publication consultation with Australian eBook Publisher. We’ll analyse your genre and target market, and give you a design brief that you can take to a book cover designer. info@australianebookpublisher.com.au or 07 3345 1415. In our next blog, we’ll look at the next stage of book cover design: how your author name and title appear, and what that has to do with author branding.